Morgan Lamandre, Esq. is the Legal Director of STAR. Morgan has been involved with the organization since 2007, beginning as a volunteer hospital advocate and becoming a full-time staff member in 2013. Morgan has served on various task forces to address sexual assault in Louisiana and has drafted and testified in support of several bills that address sexual violence before the Louisiana Legislature. Although a native of New Orleans, Louisiana, Morgan has proudly called Baton Rouge home since 2002. Morgan obtained a Bachelor of Arts in Sociology with minors in Political Science and Women’s and Gender Studies from Louisiana State University and later received her juris doctor from Southern University Law Center, where she served as editor-in-chief of the Journal of Race, Gender, and Poverty. As a law student, Morgan was required to write a short essay on what area of law she wanted to practice for her professional responsibility class. In her paper, she expressed her desire to represent victims of sexual assault in areas of law within the civil legal system because as a volunteer advocate she recognized that victims had legal needs that could not be addressed within the criminal justice system. With this idea always in the back of her mind she was a proponent of opening a legal services division at STAR. In 2015, that desire became a reality. Morgan is admitted to practice law in Louisiana. 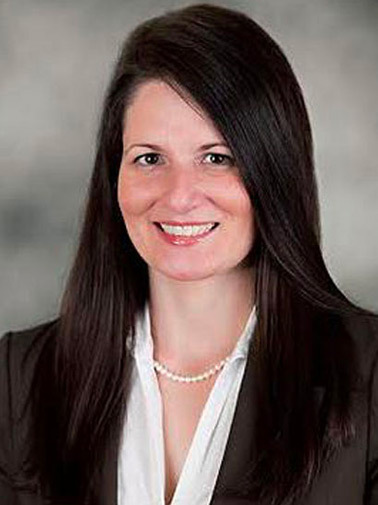 She is a member of the Baton Rouge Bar Association, where she is also a member of the Family Law Section, and the Louisiana State Bar Association. Morgan is married to her high school sweetheart and is the proud mom of two young boys.